(3BL Media/Justmeans) – The cruise industry produces nearly one billion tons of sewage every year, apart from consuming several million tons of fuel. If the sewage and exhaust from ships is not treated properly, it can pollute the water and fog the air, resulting in serious health and environmental impacts. In recent years, cruise lines have recognized the need to support sustainable tourism, and are making a concerted effort to reduce their environmental footprint. Some of them are also helping to promote sustainable practices to a wider group of players in the travel industry. According to Carolyn Spencer Brown, editor-in-chief of CruiseCritic.com, cruise lines have made quantum leaps when it comes to designing and building ships that incorporate environmentally friendly practices. The latest ships offer much better fuel efficiency than their older fleet-mates. Nick Rose, environmental regulatory lead for Royal Caribbean, says that between 2010 and 2015, their ships have become 25 percent more fuel-efficient. 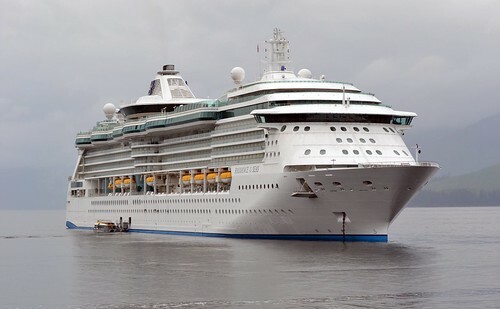 Royal Caribbean is also constantly investing in sustainable innovation. For instance, their newest Quantum-class ships are fitted with air lubrication systems that create a “champagne effect” beneath them. According to Rose, the bottom of the ship includes four different grates that generate very fine bubbles. As a layer of bubbles forms and adheres to the underside of the hull, the ship becomes more buoyant. This leads to a five to seven percent gain in propulsion. Considering that propulsion takes 60 percent of the total energy of the ship, this translates into very significant energy savings. Onboard water conservation and waste treatment have advanced to the point where the average Royal Caribbean passenger uses 40 percent less water than the average American. While the average American creates four to five pounds of landfill waste every day, the latest Royal Caribbean ships create none. Brian Mullis, founder and CEO of global nonprofit Sustainable Travel International, said that the environmental impact of a cruise ship is not higher than that of any other kinds of vacations, and in some cases might be significantly lower. Cruise lines are looking beyond their ships to the destinations they visit, encouraging onshore tour providers to go green as well. According to Mullis, at the end of 2014, over 2,000 tours in 400ports worldwide had been verified for sustainable practices. Cruise lines are also creating relationships with like-minded partners to widen their impact. Royal Caribbean is a member of the Sustainable Destinations Alliance for the Americas, a consortium of destinations, local businesses and nonprofits that have a vested interest in protecting natural and cultural resources in the Caribbean. The group focuses on eight best practices in sustainable destination management in eight countries in the region.